WASHINGTON (CNS) — Debate continues about whether the Vatican’s provisional agreement with China will improve relations between the Chinese state and members of religious groups, which have had a long history of conflict. The agreement marks the first time in decades that all the Chinese bishops have been in communion with Rome, said the Vatican press office. 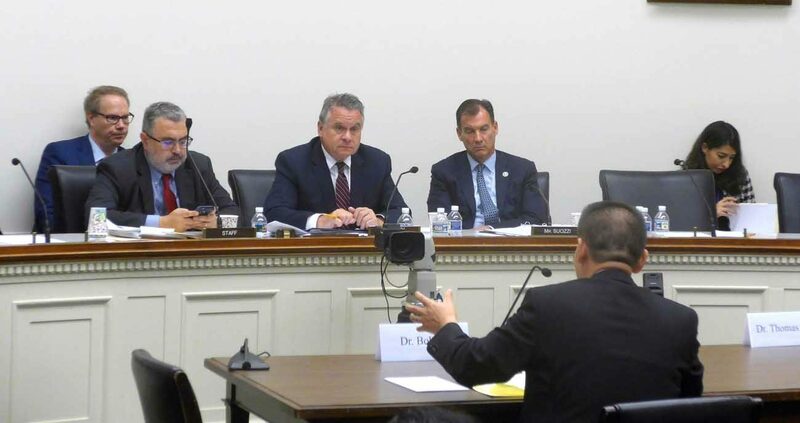 A Sept. 27 hearing on Capitol Hill, chaired by Rep. Chris Smith, R-New Jersey, drew attention to the challenges faced by the Chinese government in adapting its stance toward religion in modern times and tensions between China’s lawmakers and many ethnic and religious minorities over past decades. Smith mentioned the Vatican’s new arrangement with China in his opening address. “The reports are that this deal is provisional and full details are yet unknown,” said Smith. “I hope and pray that this agreement will bring true religious freedom for Catholics in China — who have suffered so much to maintain their faith,” said Smith, chairman of the House Foreign Affairs’ Subcommittee on Africa, Global Health, Global Human Rights and International Organizations. Discussing the history of conflicts between churches and state in China, Rep. Thomas Suozzi, D-New York, pointed out that China has fundamental differences in approaching personal freedoms due to a different belief system. A fundamental difference in mindset also extends to Christianity and Catholicism. In contrast to the U.S., where the vocation to priesthood is viewed as a spiritual calling, the Chinese state views priesthood as a licensed profession. As a result, many leaders of underground “house” churches within Chinese jurisdiction have been prosecuted for not being qualified by the Chinese government to lead churches. In the past, diplomatic snarls have occurred when those church leaders sought legitimization from the Vatican — viewed as a foreign power by the Chinese — without legal Chinese approval. Pope Francis said he hopes his agreement will refocus the faith of Chinese Catholics on common values, not on issues of church and state. “The church exists for the sake of bearing witness to Jesus Christ and to the forgiving and saving love of the Father,” not for political or personal aims, wrote Pope Francis in a statement. In another development at the hearing, Chinese dissident Bob Fu, a former house church leader exiled to the U.S. in 1997, praised President Donald Trump for his humanitarian efforts to release incarcerated Chinese house church leaders from captivity. “I have seen more proactive moments, measures and even some unprecedented actions taken by the Trump administration than the previous administrations,” said Fu.